BRIGGS, Laura Briggs (Blumhagen) passed away in Medicine Hat, AB on September 15, 2018 at the age of 90. Left to cherish her memory is her husband of 67 years Colby Briggs, her children Harold (Sonia) Briggs, Dorothy (Terry) Schmidt, Clarence (Dale Ann) Briggs, Betty Ann (Rick) Nickel, Darlene (Calvin) Flaig, Dale (Kathy) Briggs, Iona (Gerry) Zinn, Wallace (Nasrin) Briggs, Elaine Waters (Bruce Ekman), 25 grandchildren, 41 great grandchildren, brothers Ruben and Ken Blumhagen, numerous nieces, nephews and friends. She was predeceased by her parents Samuel and Minnie Blumhagen and her parents in law Walter and Clara Briggs, her sister Ester Hunter, her brother Bert Blumhagen, her grandson Darvin Moch and her sisters and brothers in law. Laura was born on February 20, 1928 in Fox Valley, SK. She grew up on the family farm and worked as a waitress. It was then that she met the love of her life Colby Briggs and they were married on March 21, 1951. She loved gardening and always grew a large garden, loved cooking and baking and visiting and spending time with family and friends. She had many great visits with her many friends shared over coffee. She also loved to travel and went on several car and bus trips. 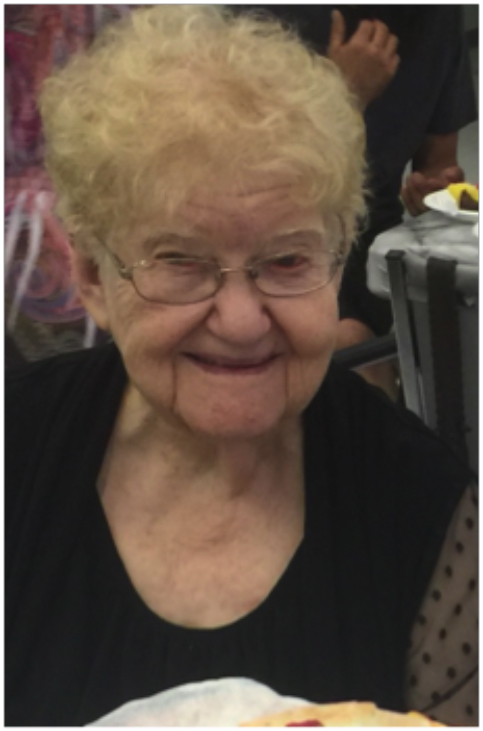 She was an active member of the Rebecca Lodge for many years and an active member of the United Church for many years as well, both in Maple Creek, SK. Her smile will remain forever in the hearts of all who knew her. A funeral service will take place at the United Church in Maple Creek, SK on Thursday, September 20, 2018 at 2:00 p.m. with Rev. Michele Rowe officiating. Binkley’s Funeral Service, Maple Creek & Leader entrusted with arrangements. Condolences may be offered to the family at binkleysfuneralservice.com.